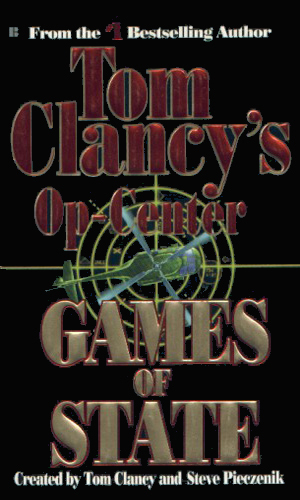 Op-Center is an agency of American Intelligence. 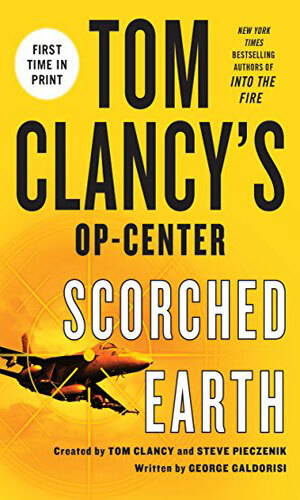 Tom Clancy, With his name guaranteed to attract readers after the phenomenal success of his Jack Ryan series, joined with a fellow writer, Steve Pieczenik, to create another book series dealing with international events. This new storyline was intended to be more than just books, however. To maximize earnings potential, it also included television. 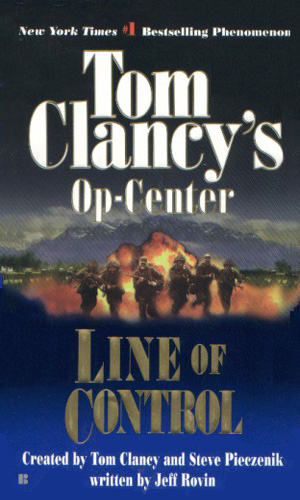 In 1995, not only was the first book released but also a four-hour, two-part miniseries on NBC. It was certainly considered for a regular weekly series but in the end the two-parter was the lone entry. It starred Harry Hamlin as the lead character and had the highly skilled Wilford Brimley and Rod Steiger, and the always delightful Kim Cattrall. 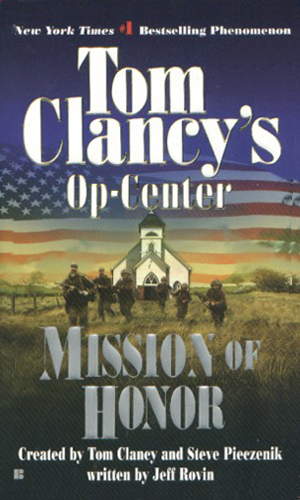 According to some sources, the screenplay itself was drafted by Mr. Clancy who had been less than happy with previous filmed versions of his books. Though a television series did not come out of the mini-series, the published works continued long after the television movie disappeared. 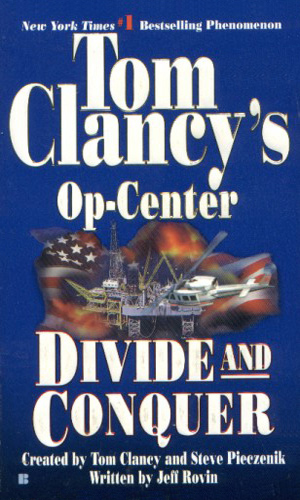 Mr. Clancy's participation, however, grew quite small as the crafting of the plots was left to Mr. Pieczenik and the writing was done by Jeff Rovin. 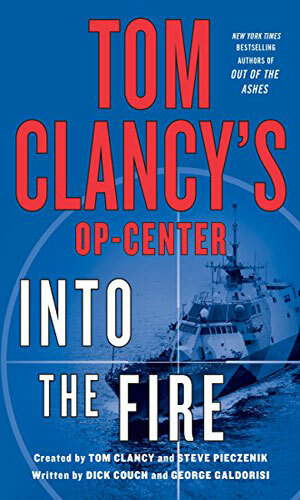 In fact, a lawsuit filed in July of 2003 by the former wife of Mr. Clancy and the recipient in the divorce settlement of 25% interest in the series challenged Mr. Clancy's involvement. 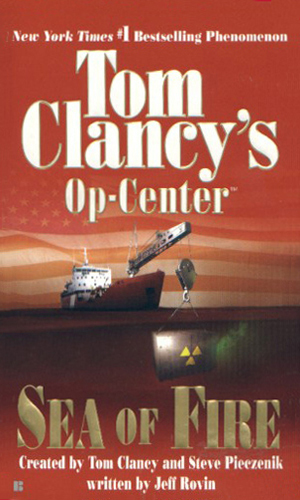 It was claimed that Mr. Clancy, fearing the sales of the series were hurting his Ryan series, was trying to close the enterprise down. The battle continues as of this writing. The premise behind the movie and the books is a bit different. 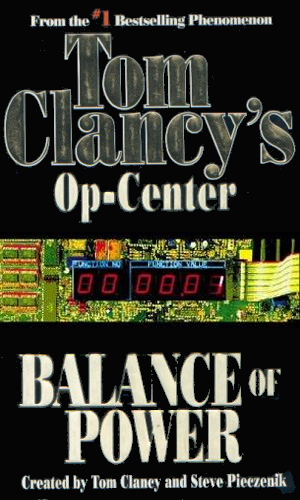 In the movie, Op-Center was an obsolete government agency being dismantled until a crisis saves it. In the books, it is vital, thriving bureau tasked with handling international incidents, especially terror related. In both, the head of the agency is Paul Hood, a man whose pedigree is quite long, starting with a successful stint as an investment banker, changing to a position as Deputy Assistant Secretary of the Treasury, and ending as a popular mayor of Los Angeles. After a short time in early retirement, he responded when the President asked his help running Op-Center. 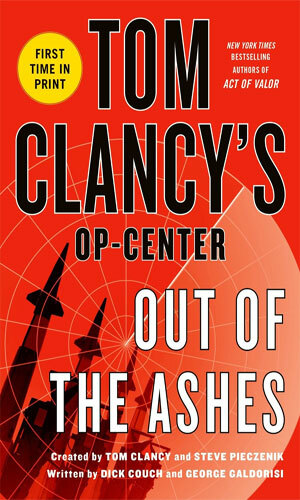 Helping Hood run Op-Center are a small but important cadre of supporting characters but Hood remains the primary force behind the agency and behind the books about it. While the movie of the same name dealt with stolen Russian missiles falling into the hands of Middle Eastern terrorists, the first book revolves around a crisis on the Korean Peninsula as a bomb rips apart a South Korean celebration. The blame seems to fall on the North Koreans and both sides head to war as Hood struggles to find who was truly to blame. 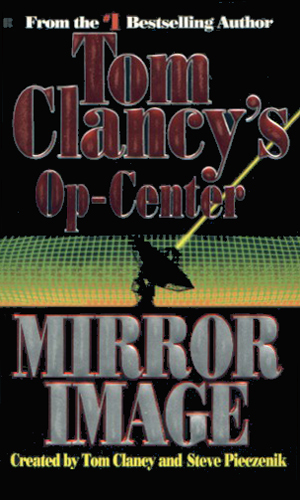 The Mirror Image is a Russian agency created along the same lines as Hood's Op-Center but when Hood looks into actions inside the former Soviet Union that threaten its tenuous stability, it seems the culprits are those running the rival bureau while seeking a return to the Cold War. For many years after the fall of Nazi Germany, neo-Nazi groups have sprung up in that land, made headlines, and then disappeared. Now, however, new groups are reaching out beyond the borders and striking throughout Europe with the goal of taking control to turn against the U.S. Continuing the process of establishing Regional Op-Centers, like the one set up in Germany, Hood is in Greece to create one there when Kurdish rebels strike against Turkey in an opening barrage to start another war throughout the Middle East, this time Kurds against Arab. The nation of Spain seems destined for another horrific civil war as internal turmoil bubbles hotter and hotter. 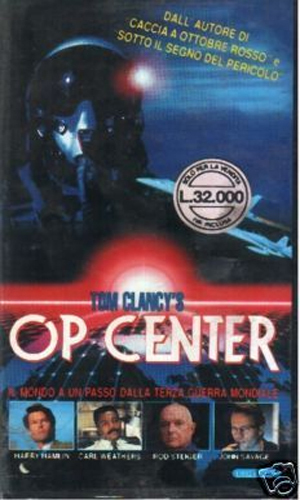 Turning to the U.S. for help, the Spanish government hopes that the experts from Op-Center can isolate those truly behind all the latest bombings. Paul Hood has already cleared out his desk as he decides to spend more time with his family. Just as he is set to leave, a rogue group of former UN peacekeepers decide to get retirement funds by taking hostage the UN building. To make things worse for Hood, his daughter in among the captives. The shadow group inside the State Department that have been stirring up matters between Iran and Azerbaijan are not content with the profits they are reaping from that hot spot. Now they are seeking to get rid of their own President by making him believe he has become mentally unbalanced. 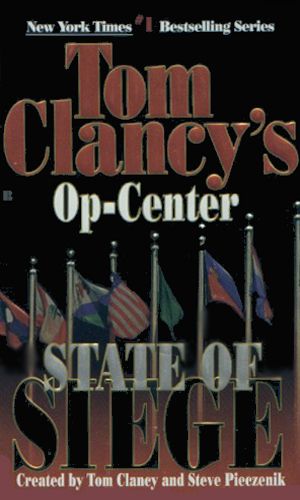 The military arm of Op-Center, called Striker, is sent in to capture an Islamic cleric who is stirring up the Moslems in India towards an overthrow of the government. As they operate, however, the team is caught inside a flare-up of border tensions between India and Pakistan. Making matters worse, there is a double agent amidst them. In the nation of Botswana, militiamen have grabbed a Catholic priest and issued the order that all Catholic missionaries must leave that country immediately. A cry from the Vatican to Op-Center for help. Its military arm, Striker, is out of action making Op-Center reinvent itself. Op-Center is asked by the Australian government to check into nuclear waste dumping in the South Pacific but it quickly learns it is more a case of selling the waste to terrorists. A friend to the head of Op-Center is asked to be on the ticket with a Senator running for President but the Senator has a very shady past. 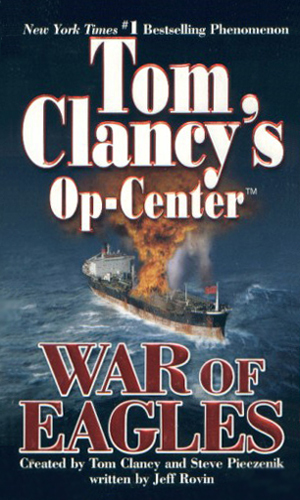 Now under the control of the Pentagon, Op-Center must investigate an explosion onboard a Chinese freighter even as it tries to divine its own future. When a Saudi prince unleashes a plot to take control of the oil market by tricking the US into attacking Syria, the President decides to bring back Op-Center as a means of stopping the trouble. Relations with North Korea had gone even further south than normal and a US destroyer's crew is in danger of being captured. Op-Center is asked to help out. 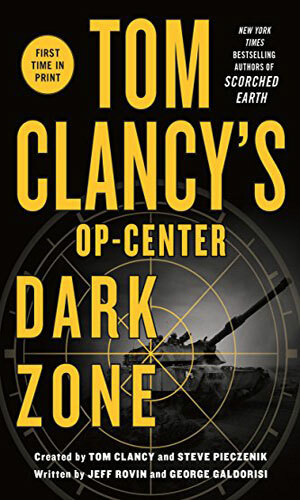 The killing of the ISIS leader's son in a US bombing raid throws the man into a rage and he mounts a series of attack on US soil that Op-Center must counter. The Ukraine ambassador to the US asks an old friend for help in fighting Russian aggression against her country. Hours later she is murdered. 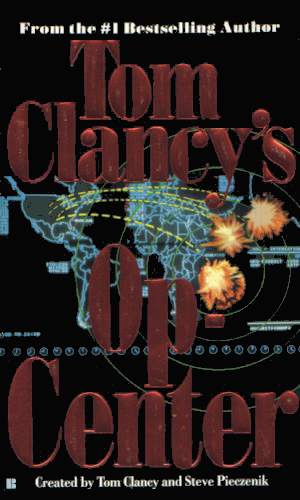 Op-Center is brought in to find who did it and what can be done to slow the Russians down. Two nuclear warheads from the Cuban Missile Crisis era, said to have been moved to Siberia, are now to be secretly transported via ship to Iran. Op-Center learns of the transfer and knows it must be stopped. A made-for-tv movie that was a pilot for a series that never materialized is the lone entrant. 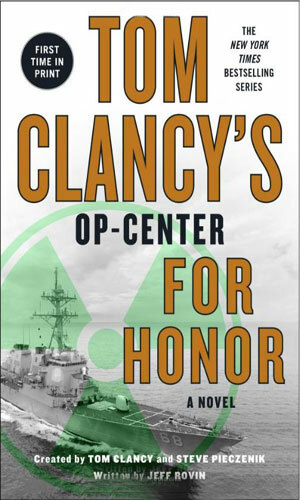 On his first day on the job at a new agency meant to take on international crises, Paul Hood is faced with stolen Russian nuclear missiles being in the hands of terrorists. 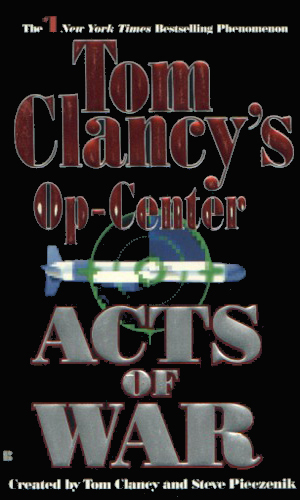 It is a shame that those who read and enjoy the Op-Center adventures, and they are many, naturally place their accolades at the foot of Tom Clancy since it is his name that is printed as large as the title of the books. Unfortunately, the books are written by Jeff Rovin, a writer of considerable skill but inadequate credit. 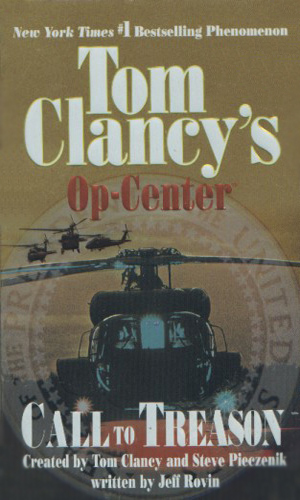 I enjoyed the Op-Center books and truly understand that without Clancy's name, they probably would have not come to be. I just like to see the right people getting the appreciation.